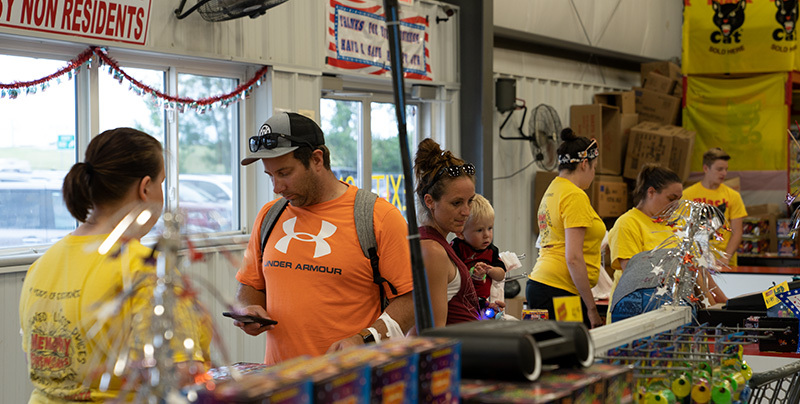 Memory Fireworks is North Dakota's Largest Fireworks Retail Store. We pass on the buying power savings to you, offering all of our fireworks at the absolute best prices. No other fireworks vendor can come close to competing with Memory Fireworks on price. Memory Fireworks has locations that conveniently cover the entire state of North Dakota. This allow us to bring you the largest selection of fireworks that are available in the entire United States. We also travel to China in search of the absolute best fireworks and bring back many exclusive fireworks that become part of our Memory Seires and Dakota Series firewoks packs. The Memory and Dakota Series are packed with the absolute best in fireworks quality at affordable prices. Memory Fireworks is a family owned local company. We are part of the North Dakota community and live where you live across the wonderful state of North Dakota. Our professional trained staff are here to help you get the most out of your fireworks budget.